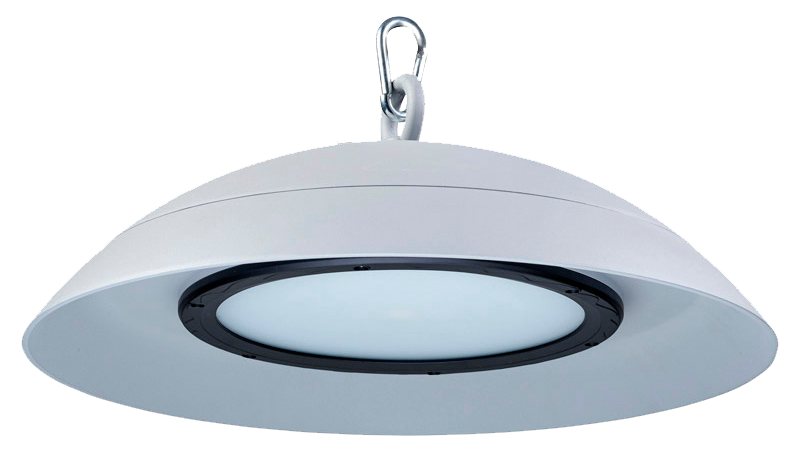 The fixture’s prismatic acrylic optic directs light where needed, reduces harsh glare, maximizes spacing and provides a uniform light distribution to improve visibility on task specific surfaces for increased productivity and safety conditions. The fixture will operate flawlessly, without flicker or hesitation in both sub-zero freezing temperatures as well as any ambient temperature up to 122°F (50°C). This premium luminaire is suitable for high pressure water hose down cleaning at1500psi. Its ultra-sleek, sloped shape and corrosion resistant finish combine to repel water and make it impossible for food, dirt or debris to accumulate. IP66, 69K. The rugged construction and robust cast aluminum housing will withstand harsh environments for long life. It’s sealed, gasketed design easily meets the rigorous requirements of the food processing and beverage industries. This HiBay is NSF Splash Zone listed, specially designed for food processing and production, where sanitation, safety, maintenance and energy conservation are key concerns.